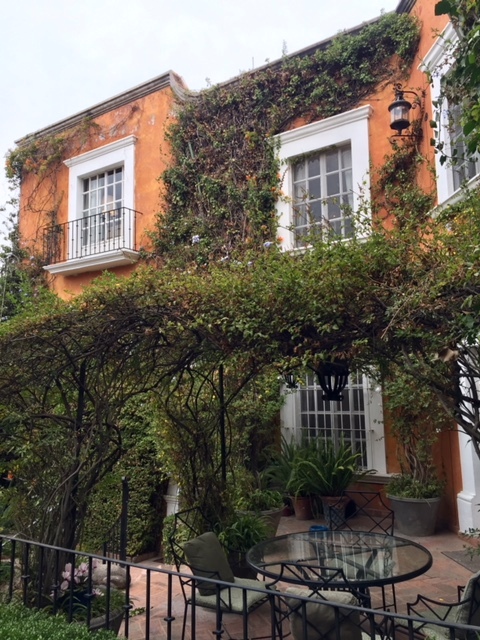 Movie-set magnificence can be your special hideaway in San Miguel if you stay at the beautiful Villa Glenville, complete with four bedroom suites, an acre of lush gardens and one of the largest pools in town! Just a 10-min walk from the Jardin, this elegant estate once belonged to the late British film and theatrical producer Peter Glenville. 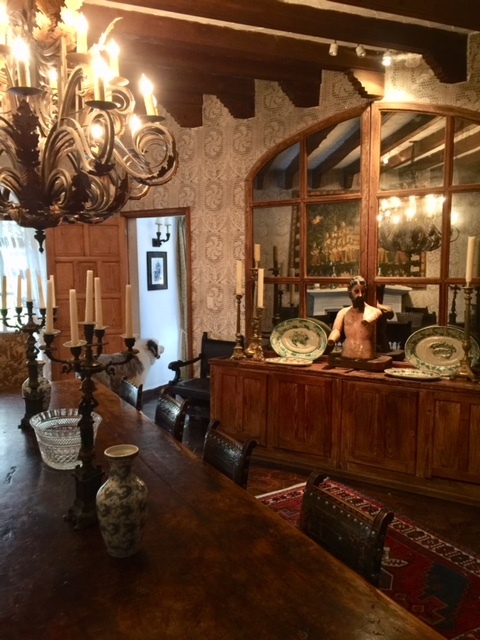 The house and gardens comprise more than an acre of private retreat, including main house, guest house, pool cabana, outdoor living room and numerous outdoor lounging and dining areas. 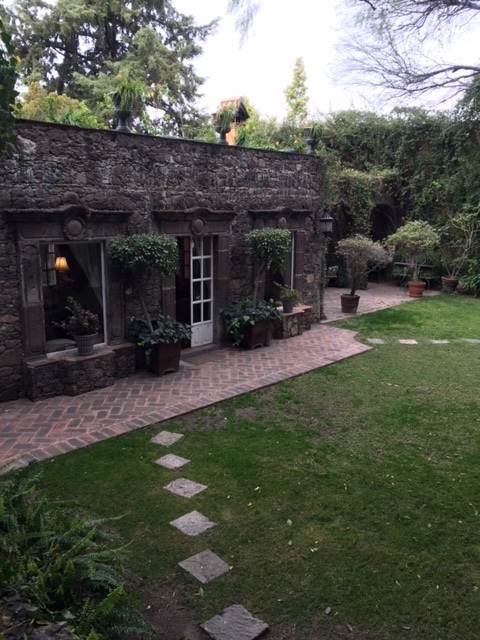 The mature gardens are truly one-of-a-kind in San Miguel! 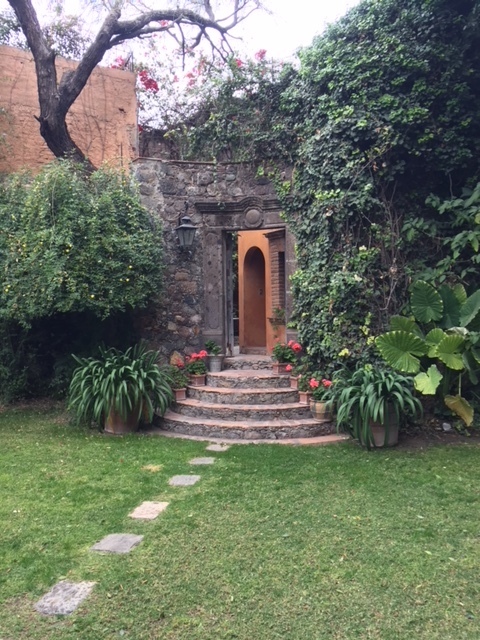 You enter the main house to the first level that features a guest room with two twin beds (which can be converted into a king bed, if desired), plus en-suite bathroom and fireplace, a well-stocked library, and a dining room that an seat from 6-18 people with Spanish Colonial stenciled walls and fireplace. 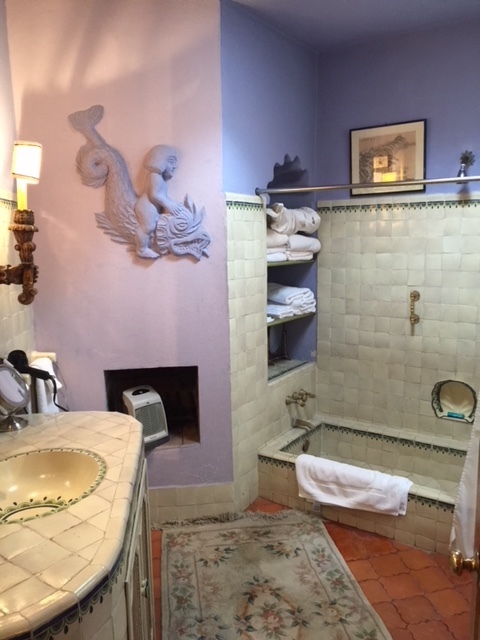 There is a large adjoining kitchen, staffed by a wonderful cook for either Mexican or Continental cuisine. 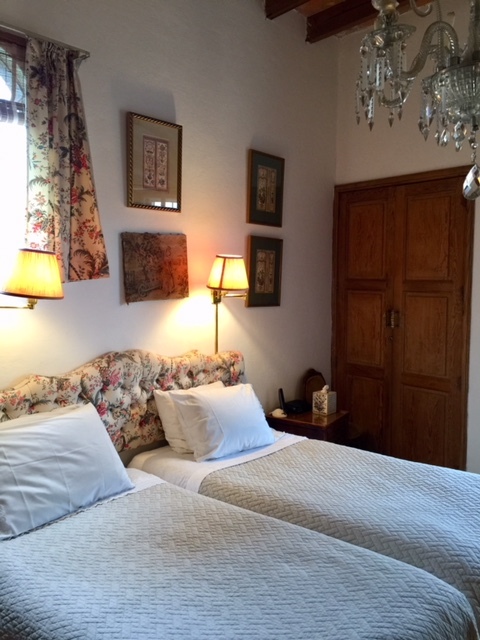 The second floor contains a charming master bedroom with fireplace and private king bedroom. 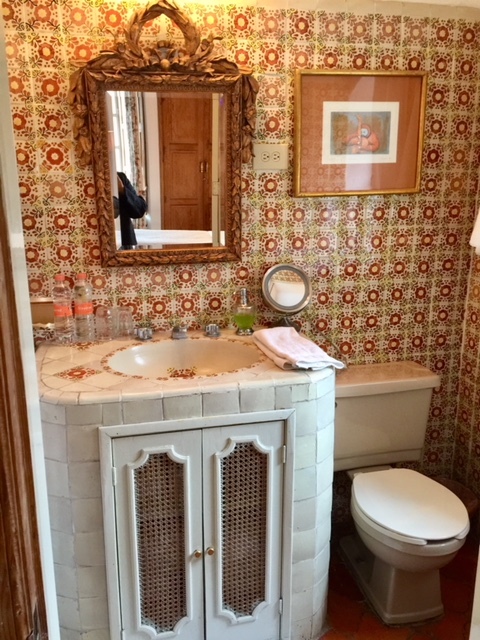 There is a second bedroom/bathroom with queen bed on this floor also, as well as the large living room with two seating areas, antiques, a grand fireplace and French doors opening out to a beautifully landscaped garden with fountain and outdoor dining loggia. 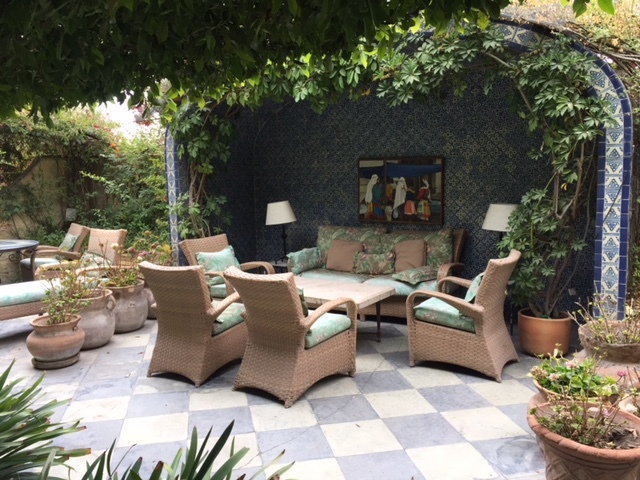 From the main house and gardens, one passes up a few steps and through antique doors into a second garden to view the 70-foot long pool with its fountains (inspired by the reflecting pools and fountains in the Alhambra in Granada, Spain). 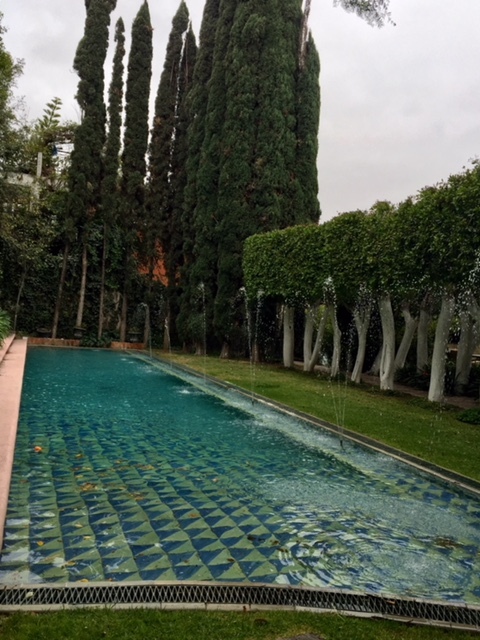 Towering Italian cypress trees and lush gardens border the pool, with an outdoor living area beyond. 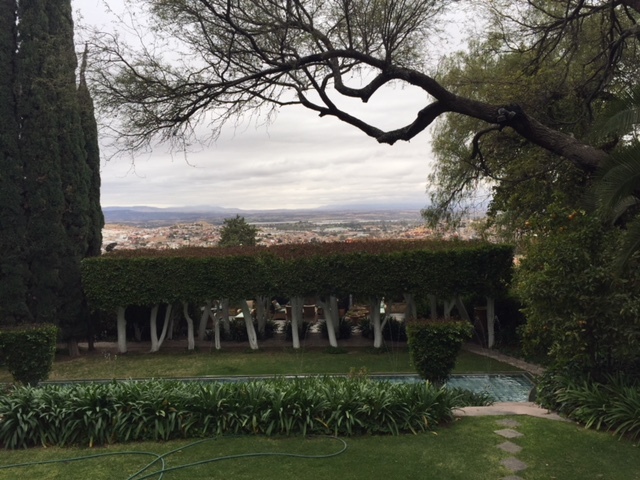 Above the pool is another outdoor entertaining area adjacent to the pool cabana and guesthouse. The pool is heated by a separate propane tank, which will be full when renters arrive. Please leave money with Tomasa to refill the tank when you depart, if you requested to heat the pool. This can run $500 USD or more, depending on your daily usage and the weather. A new solar cover is available to retain heat overnight. 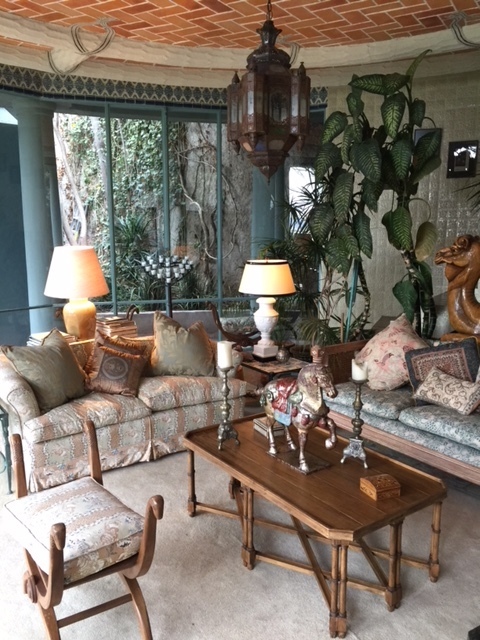 The lower level of the pool house has a large living room and adjoining kitchenette, plus a separate full guest bathroom in the pool cabana. 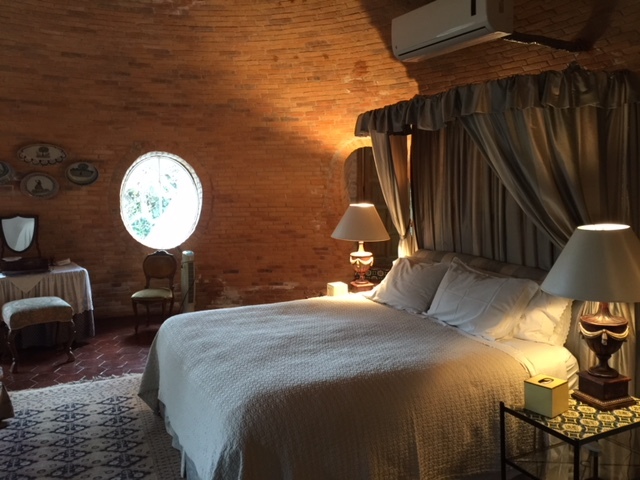 Up the winding staircase is a fabulous round guest room with king bed and domed brick ceiling, plus ensuite bathroom. 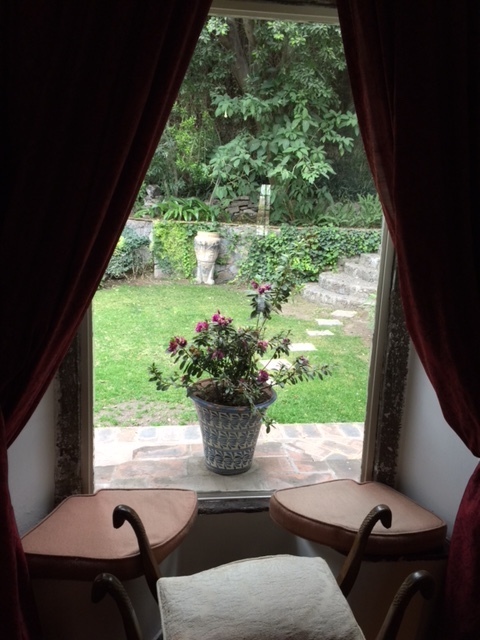 Both the main house and guesthouse are furnished with a mixture of European antiques with Spanish Colonial influences. 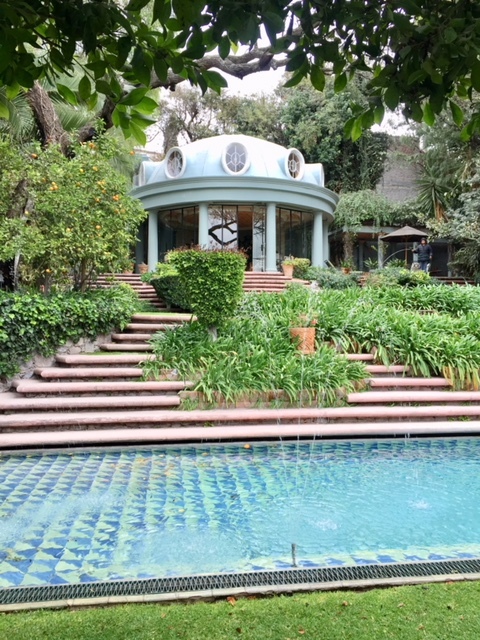 This well-known property has been featured in House and Garden, Elle Decor, Mexico's Casa Gente and Kelly Klein's book, "Pools." 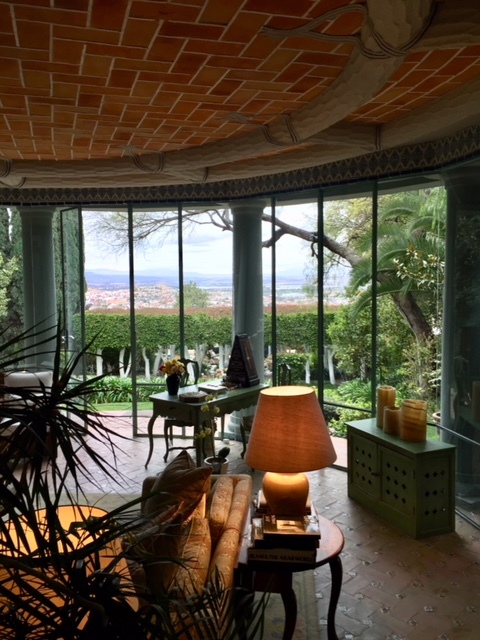 The villa has also hosted many famous actors and celebrities. 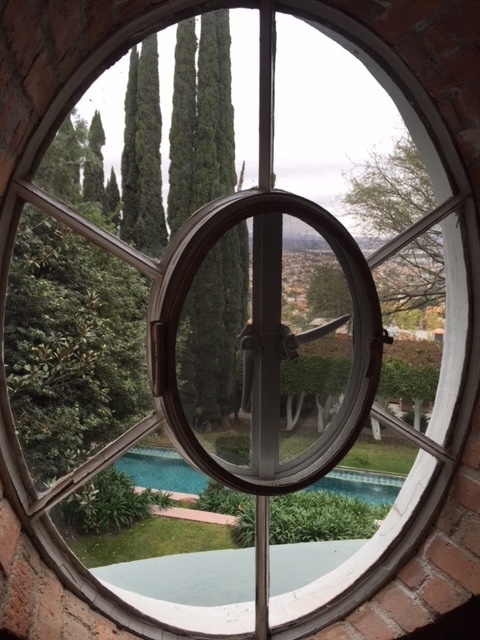 Both houses on the property have stereo/CD players and there are 4 televisions. 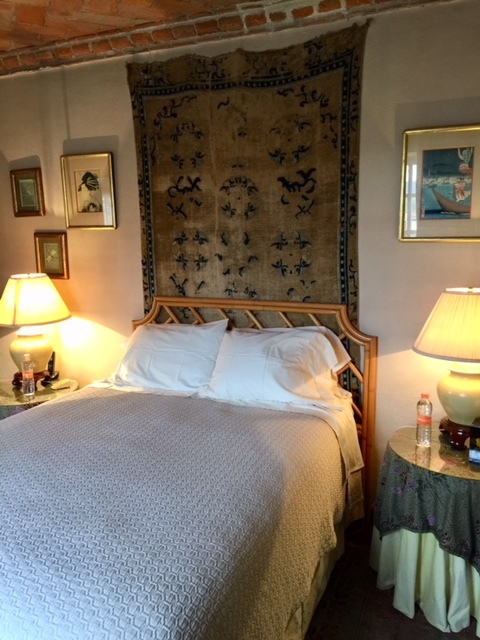 The maximum number of guests is 8 with two king beds, one queen and the two twins (which can be combined to turn into another king). There is parking space for two cars. 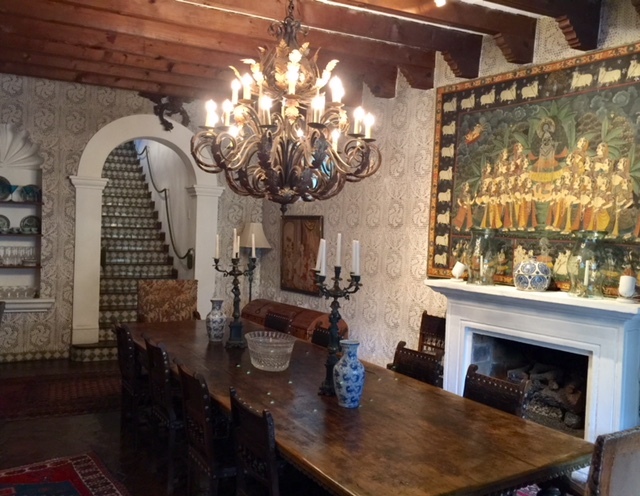 The house features a Vonage phone for international calls and high-speed Internet. 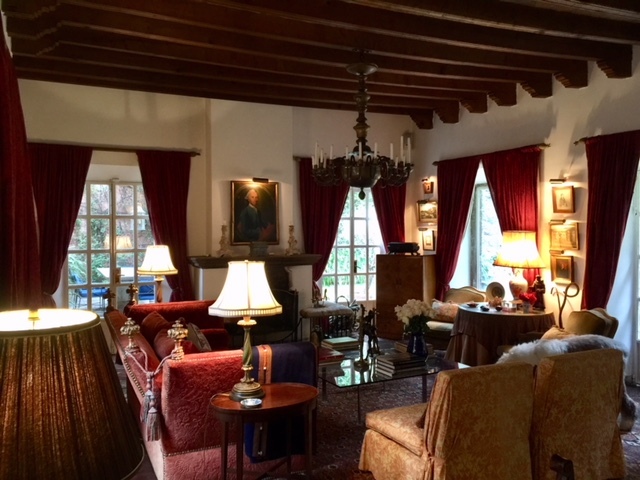 The staff includes one house manager, who is also the cook, one housekeeper who cleans, and one gardener/houseman (who also can be hired separately during his off hours to act as a bartender). We ask that you tip the staff at the end of your stay to recognize the good service they provide to all of our guests. 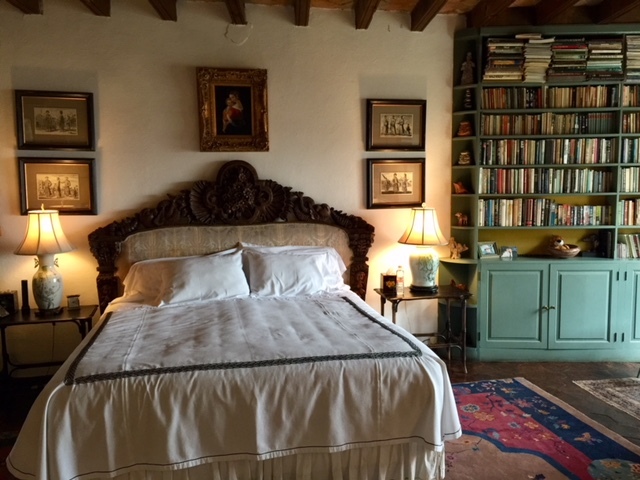 A recommended tipping guideline for this house is $100 USD per bedroom used per week. You can simply give your tips to Tomasa, who will share them with the other staff. Older children are allowed with approval of the owners. 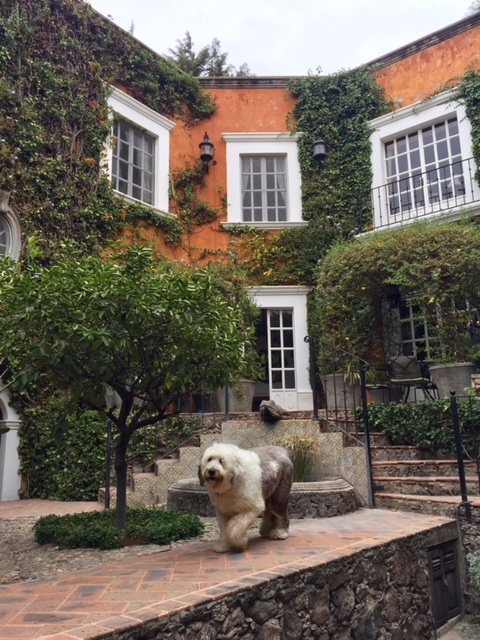 There is a resident sheepdog, Lennon, who remains on the property, but is cared for by the house manager. 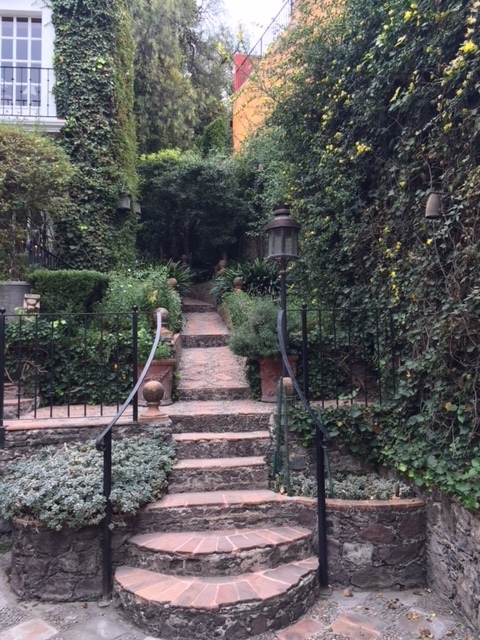 If guests are allergic to dogs, arrangements can be made to move Lennon off property. But we find most guests love him! 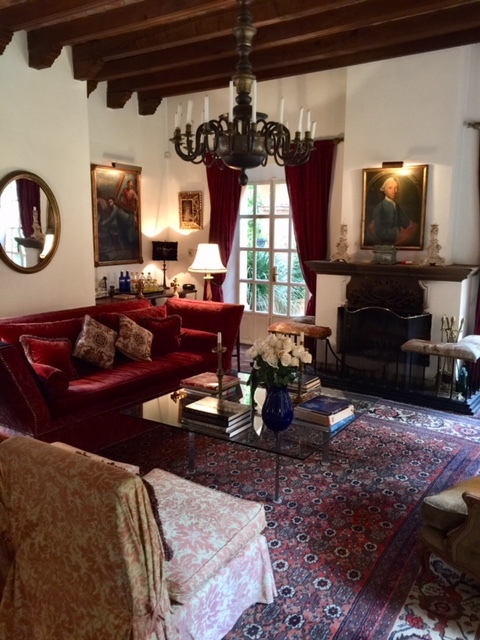 NOTE: Most of the rooms at Villa Glenville have gas fireplaces, with the exception of the master bedroom and living room, which still have the old wood-burning fireplaces. These two fireplaces will be stocked with one load of fire wood gratis. Additional loads can be ordered through Tomasa at the renter's expense.